Publication of the fifth edition of Diagnostic and Statistical Manual of Mental Disorders (DSM-5) in May 2013 will mark one the most anticipated events in the mental health field. Welcome to DisabilityInfo.org maintained by New England INDEX. Contained within this site is a wealth of information for people with disabilities, their friends, families and the people who serve them. 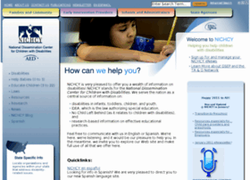 Information within this site focuses on Massachusetts. Need help navigating our site? Give INDEX a call at (800) 642-0249.